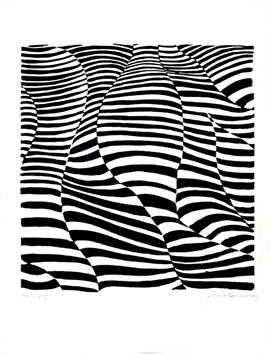 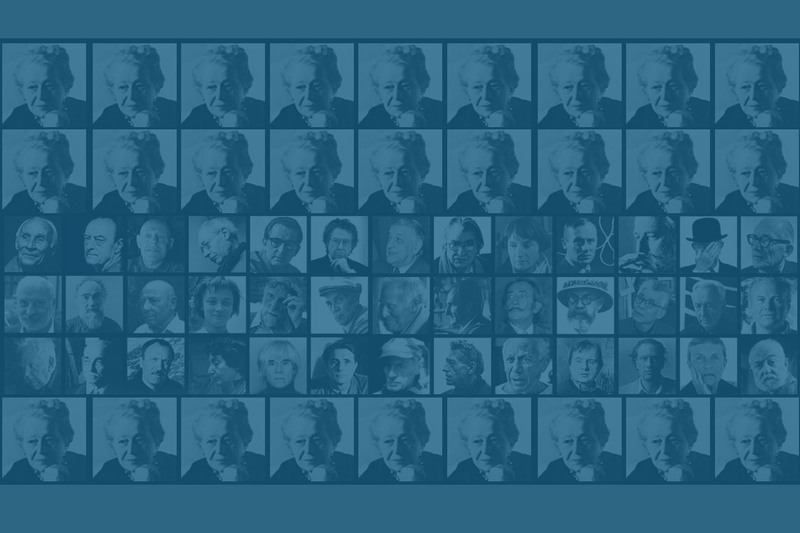 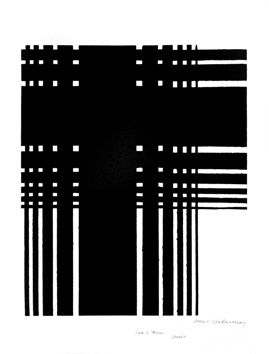 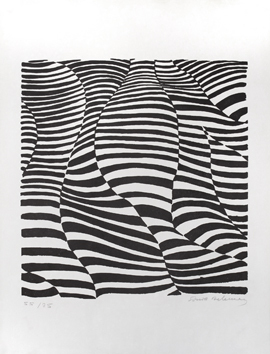 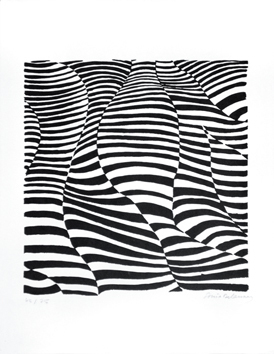 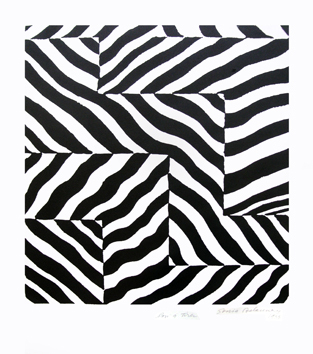 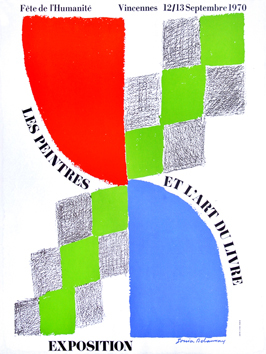 Beauty does not have the constraints of meaning. 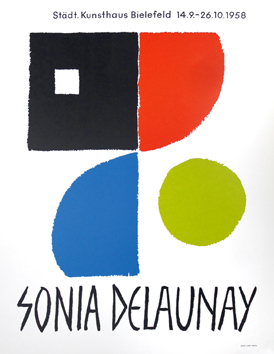 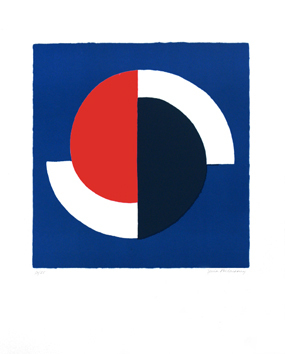 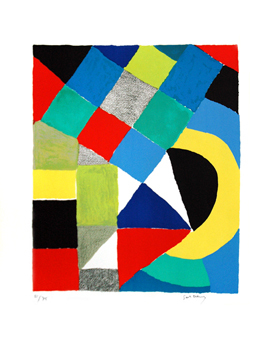 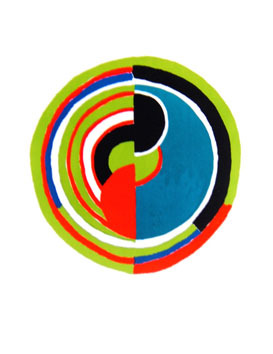 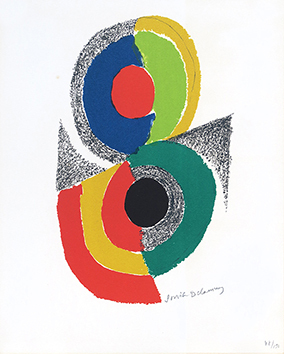 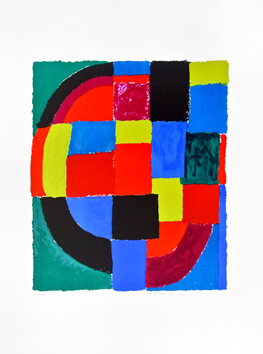 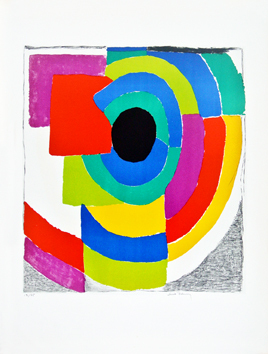 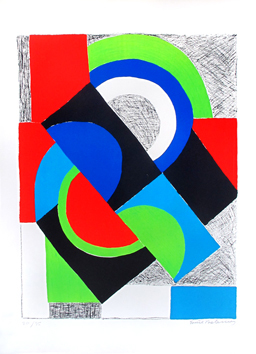 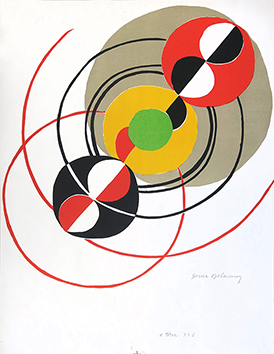 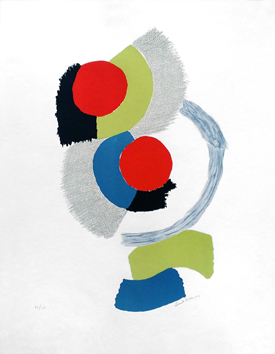 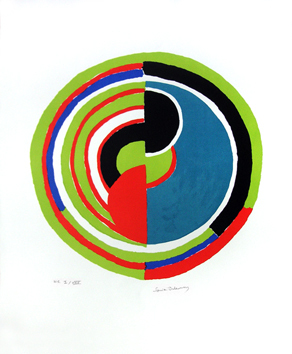 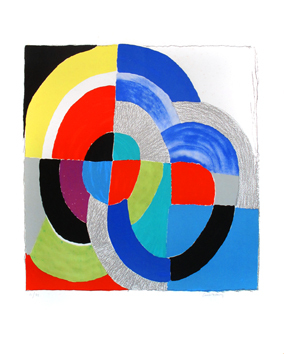 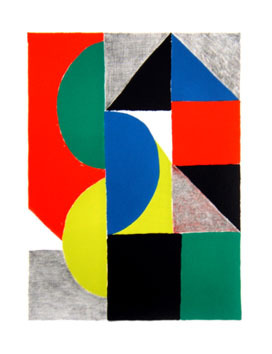 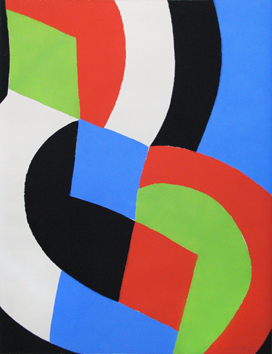 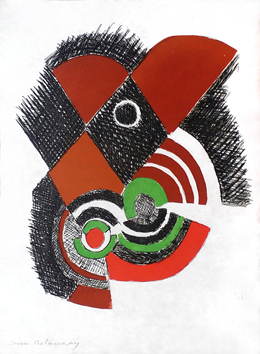 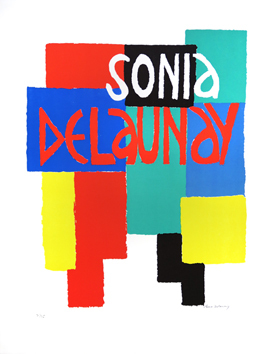 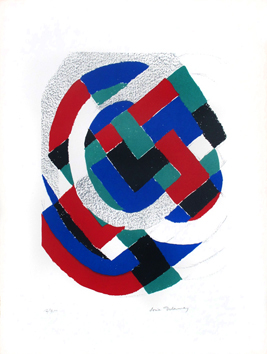 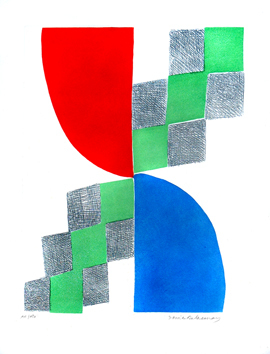 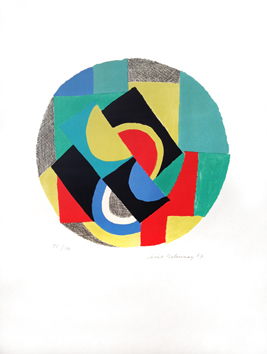 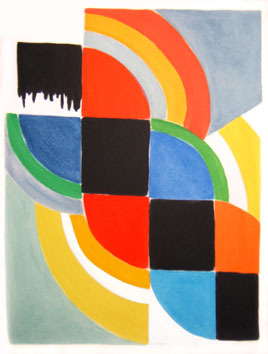 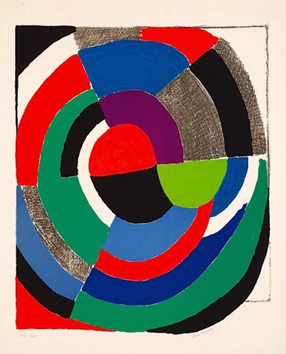 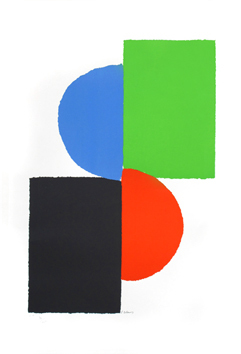 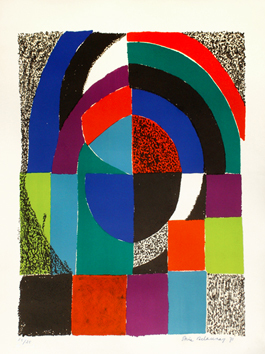 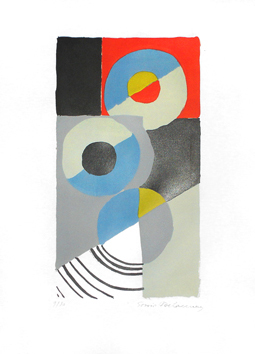 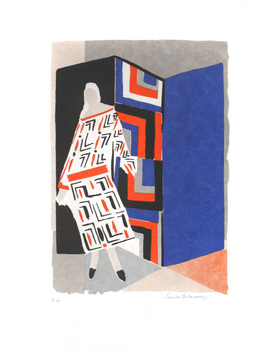 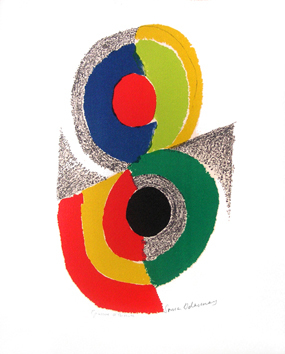 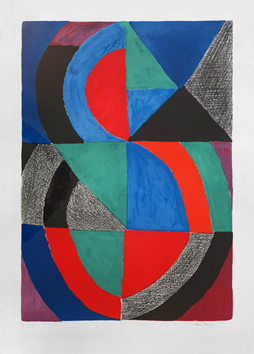 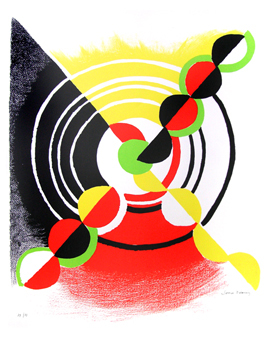 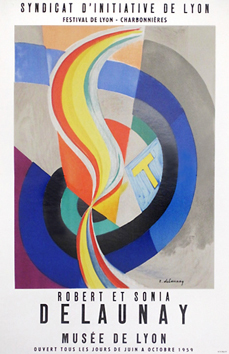 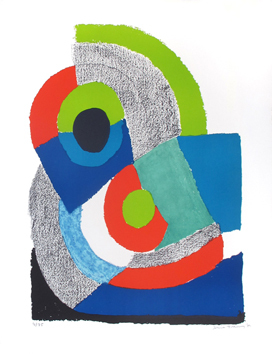 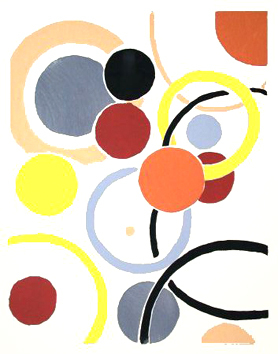 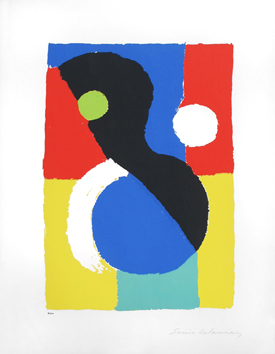 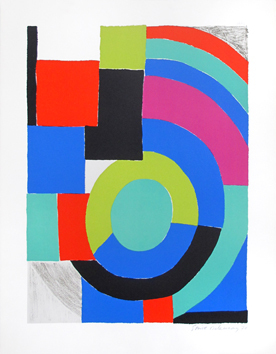 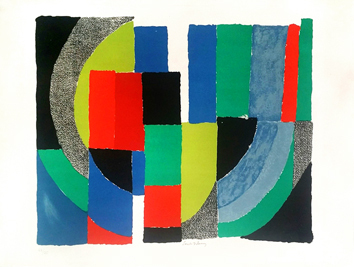 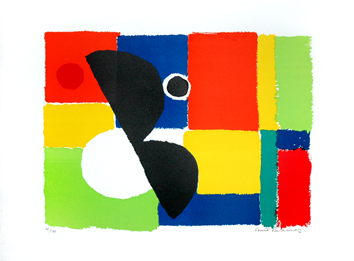 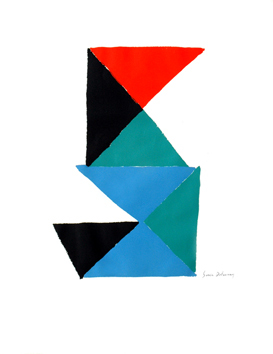 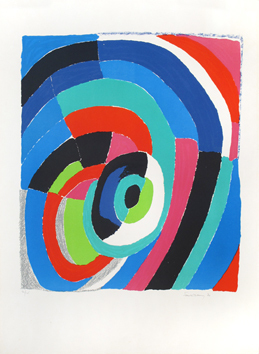 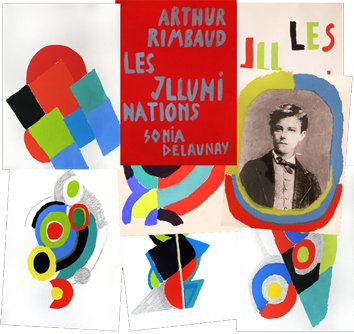 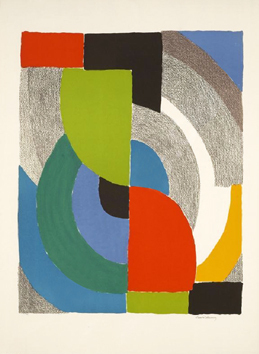 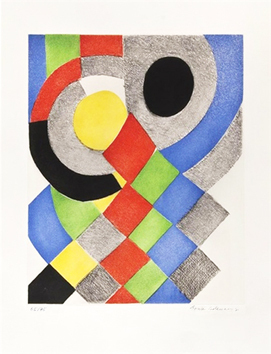 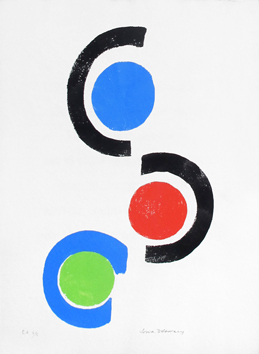 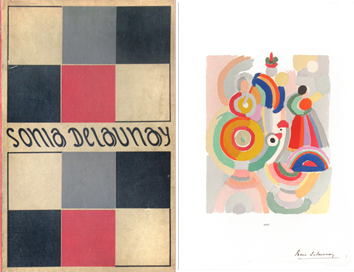 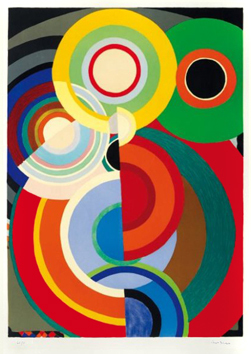 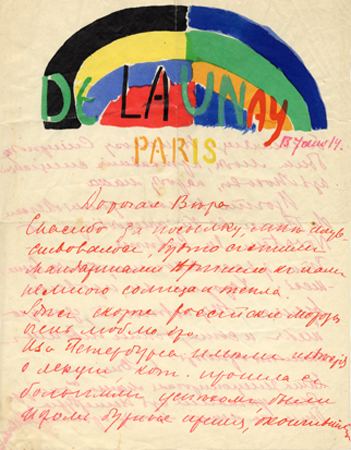 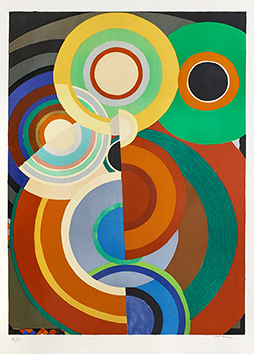 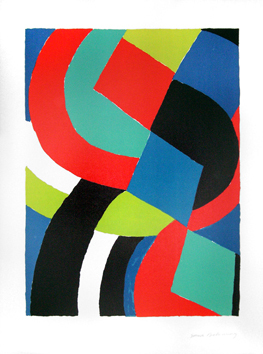 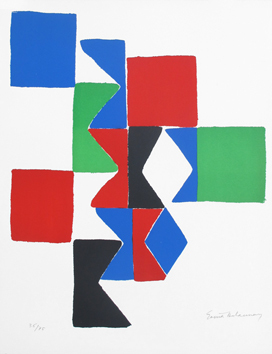 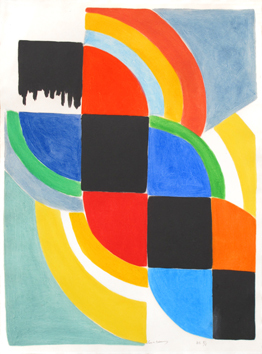 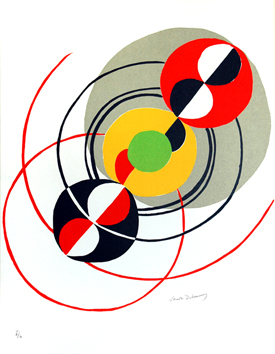 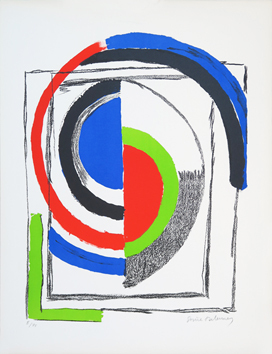 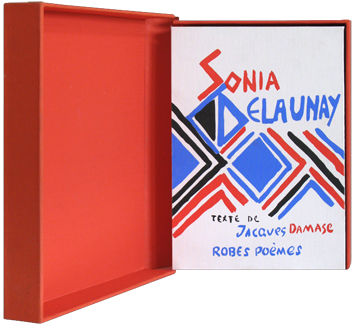 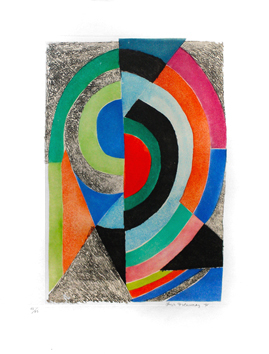 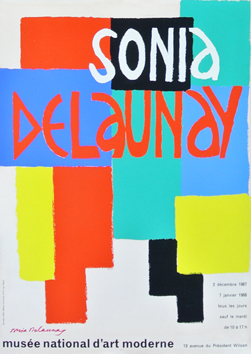 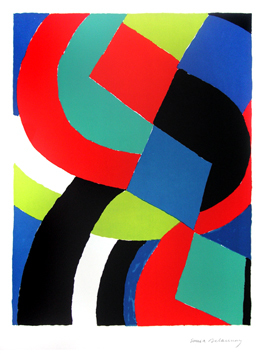 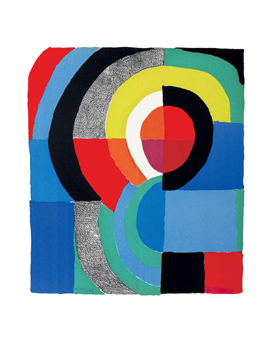 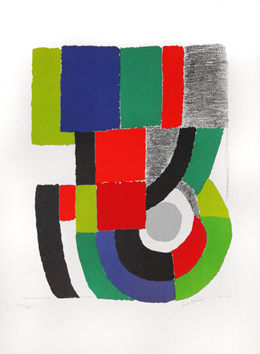 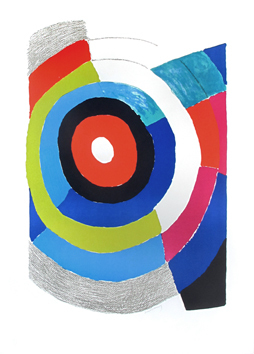 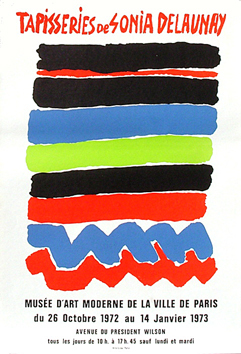 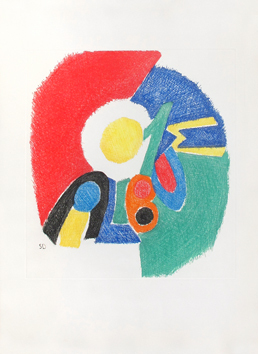 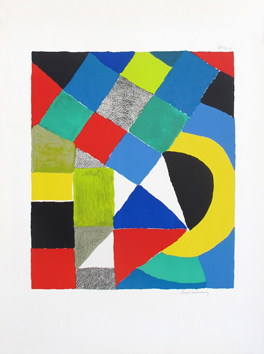 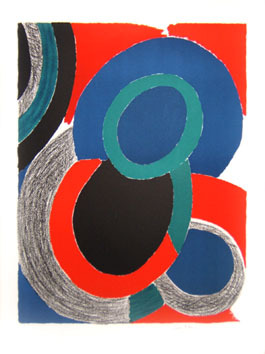 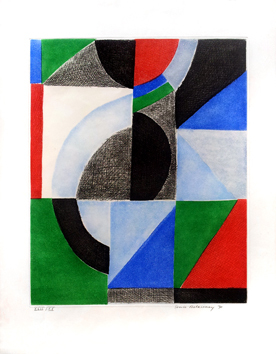 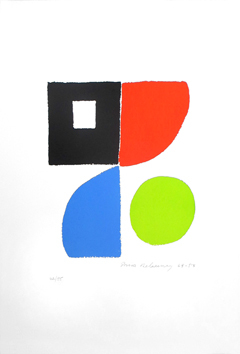 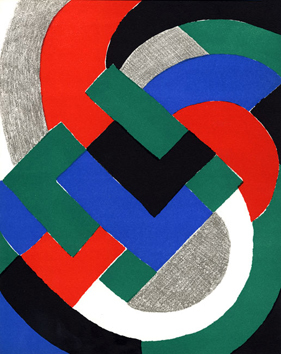 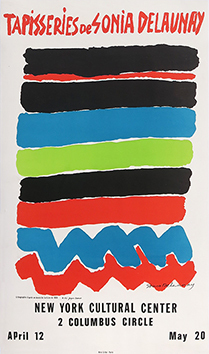 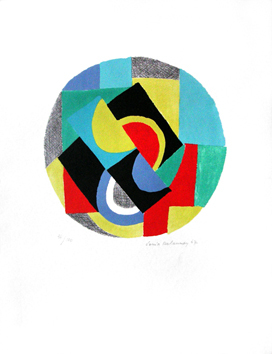 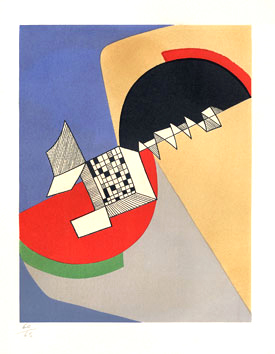 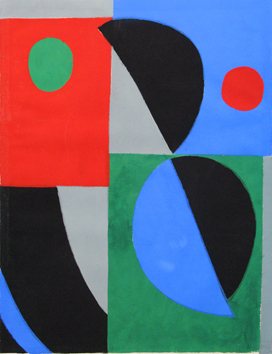 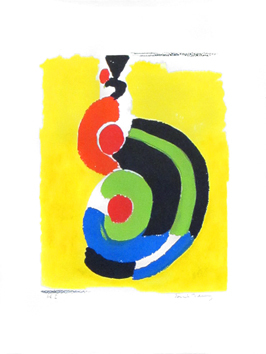 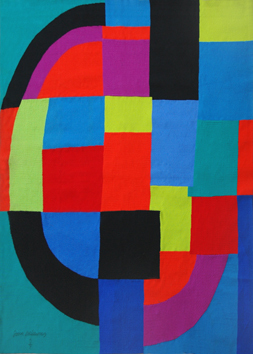 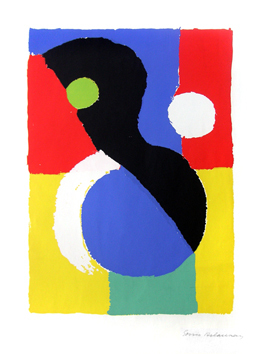 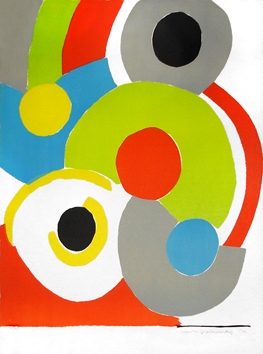 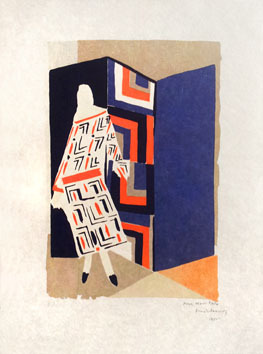 Sonia Delaunay was born to Gradshik (Ukraine, Russia) in 1885. 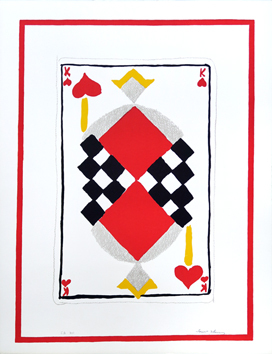 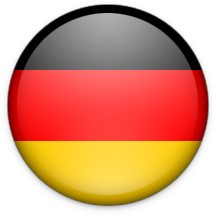 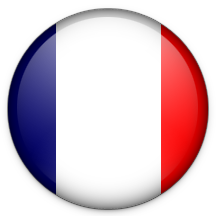 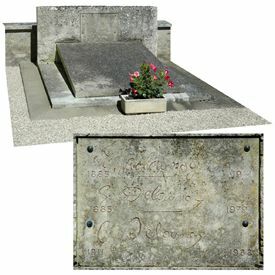 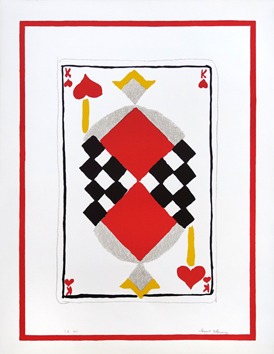 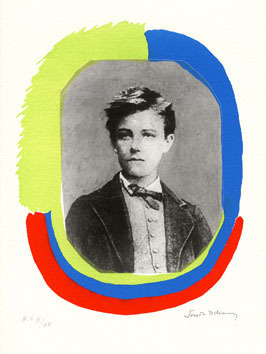 Sara Ilinitchna Stern, said Sonia Stern, is adopted by his uncle Henri Terk in 1890. 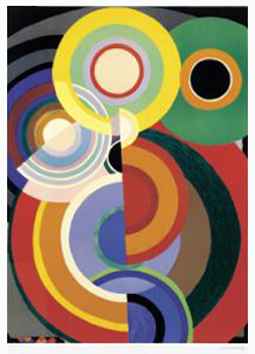 She saw regularly the Schmidt-Reuter’s studio in Karlsruhe from 1903 till 1904, then the Academy of the Palette in Paris where she settled down in 1905. 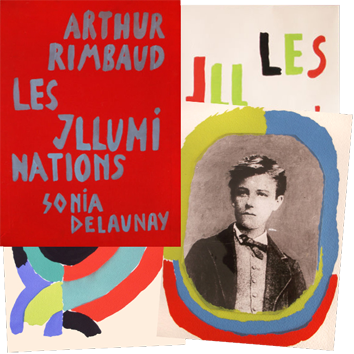 She painted then portraits and bare Fauves. 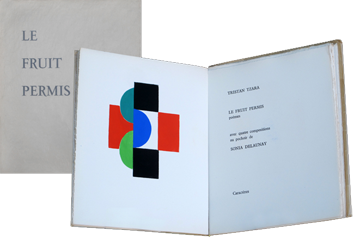 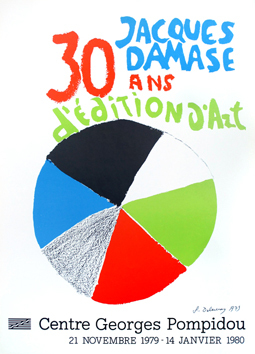 Her first personal exhibition is organized in 1908. . . .
* « 114 œuvres de la dation Charles Delaunay », B. Leal, Centre Pompidou-MAM de Paris, 2003 All the "catalogues raisonnés"
Document sold in 2004 by the Champetier Gallery. 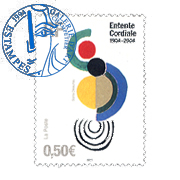 + ESPACE GROUP / 1951 / Felix Del Marle, Etienne Béothy, etc.